What’s the Difference Between PTO and Medical Leave? Decades ago, most employers handled time off with ‘vacation-sick-personal day’ programs that provided a certain amount of time off in each category. Fast forward to the 21st century and paid time-off (PTO) plans are the norm. Rather than divvy up specific reasons for time away from the workplace, a PTO plan offers a bank of hours for employees to draw from. Simple, right? 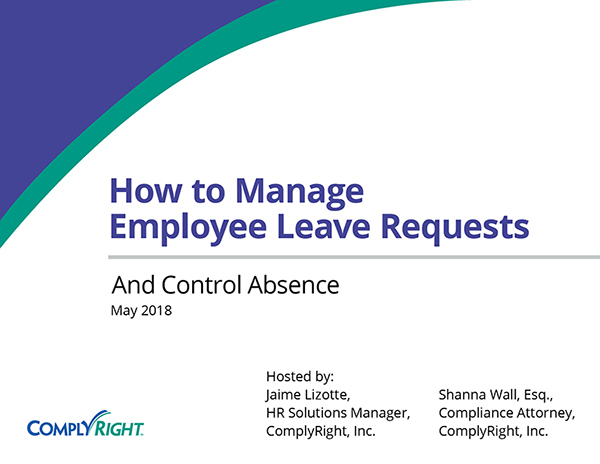 Although managers and supervisors no longer have to navigate a minefield of varying requests – or slice and dice time off – under a PTO plan, they DO need to pay attention to requests that are tied to certain medical issues. Aside from needing a day off here and there for a common cold or headache (which is easily managed with regular PTO hours), an employee may face a more serious circumstance that triggers separate “medical leave” under the Family and Medical Leave Act (FMLA). This federal law applies to private employers with 50 or more employees, and to all public agencies regardless of size. 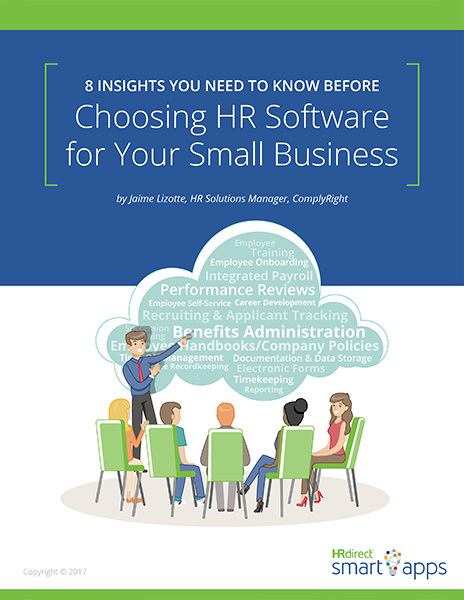 It requires affected employers to provide eligible employees with up to 12 weeks of unpaid, job-protected leave (within a 12-month period) for severe health conditions, as well as the birth or adoption of a child. 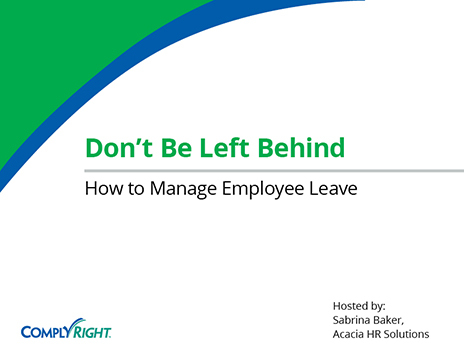 Understandably, medical leave under the FMLA can be difficult to administer – especially if you’re relying on sticky notes and paper calendars. 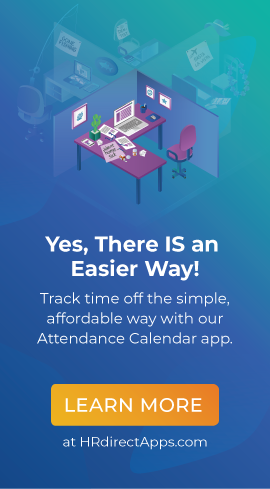 Streamline time-off tracking with the web-based Attendance Calendar app from HRdirect. Whether for regular PTO or medical leave, this tool helps you accurately track time off by category. 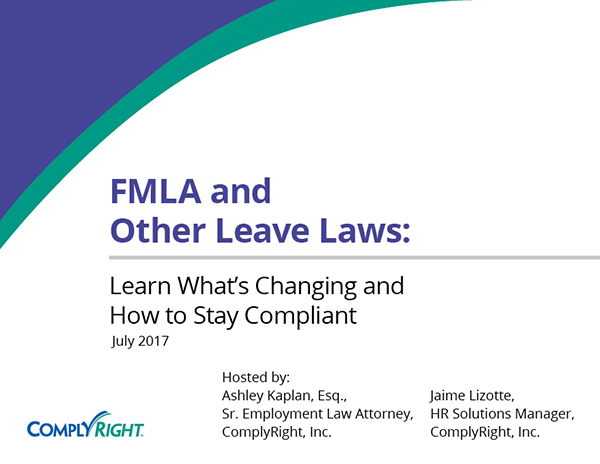 For FMLA leave, it also can serve as proof that you offered the appropriate amount of leave under the law.